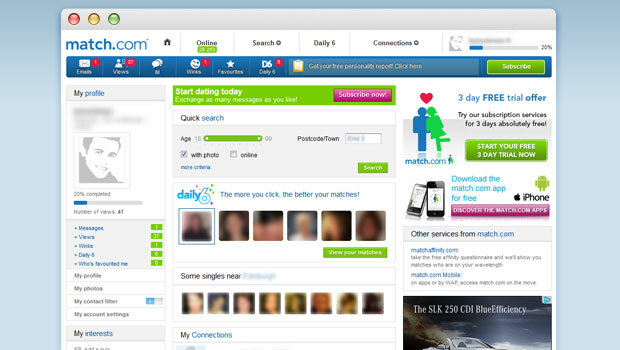 With their millions of members, accurate advertising, easy user interface, and a great value offer, match.com delivers what they promise! If you’re new to the online dating scene and looking to try it for one month only, match.com doesn’t exactly have the cheapest price around. However, if you want to try atleast a 6 month subscription, their offer for that time range gives you a 56% discount. This will amount to just £12.99 a month! Considering that match.com has a bigger number of members as compared to other dating sites, this is your safest bet in landing a date online! Continue reading below to find out why match.com is considered as one of the best dating sites for 2015! Technically, anyone can use match.com! But, most of the members who prefer long lasting relationships are inclined to use match.com. It’s not perfect in any sense, but with the sheer numbers of users that had took time to invest their money in, the site probably offers more as compared to those using free dating sites. But with the advent of many mobile dating applications like Tinder, you can easily use those if you’re after casual/short term relationships. Match.com offers a more in-depth experience as compared to Tinder. The great thing about creating a profile in match.com is that you don’t necessarily have to write about yourself in order to find potential dates! But be sure to highlight the your qualities that make you stand out among the sea of date-deprived members. You can also specify what type of persons you are looking for. If you’re not too keen on describing yourself online, browse around. Take a look at some of the profiles of other people, get a feel of the environment so that you’ll have an idea of how to start your own profile. As for creating profiles, the process is unlike most which would require you to answer countless questionnaires before you make one. The process is relatively easy, you just have to tick boxes and answer straightforward questions that would help you create your customized profile. There’s no need to write long-essays about yourself, just enough so that the other members know what kind of person you are. After creating your very own profile on match.com, the next step is the searching. What’s great about match.com is that its search options have tons of features. Whether you would like to have a standard search where the site finds a potential date based on your criteria or you can be specific. Be it by keyword, area, and other search filters; match.com has it! For example you could limit your search options to those near you, say those within 20 miles of you. Or you can add more filters, like those wanting children or those wanting to have long lasting relationships. Don’t waste your time looking at hundreds of profiles that doesn’t match your values and goals in the whole online dating scene! Just imagine walking into a bar, this is the same case, only you would know who are single and share the same values and goals in life. This is one reason why online dating is becoming a huge hit. Another option when searching is that you can filter the results to land you a date with a person born the same date as you or you can find members who have been online recently. There is also another plus feature that allows you to view your perfect match, ideal match, and reverse matches- members who consider you as their ideal match. Nevertheless, there are millions of members there so the chance of finding someone perfect for you should be high. 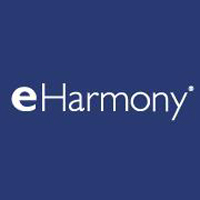 If you’re not into searching (or just too lazy,) match.com offers the feature called Daily 6. Basically, they present 6 new profiles to you every day. You can easily press ‘Yes,’ ‘No,’ or ‘Maybe’ to these potential dates. For those into searching, another great feature comes packed in with their awesome interface. The ‘save search’ button allows you to save certain filters that you’ve used before. Be it interests, body types, locations, etc… they can all be saved for future references. This feature is perfect for those wanting to search the same details from time to time. Together with the option of seeing those active matched with the criteria you’re searching , you are more likely to find the right one for you. Of course match.com isn’t all too perfect: no dating site is, as of the moment. There are some bugs we’ve found, but they aren’t all too much of a problem. Occasionally, some profiles outside our designated location appears on the search menu. We’ve found a tricky solution for this; when searching by postcode, use the first three letters and the results would be much more accurate. Tired of seeing unwanted profiles over and over again? Luckily, match.com has got that covered! Their feature, ‘removed profiles’ allows you to mark profiles which you’ve come across once and wouldn’t want to see again. They also have a contact filter. You can block out those who are, out of your age or out of your country. This gives the members and added feature of keeping the time-wasters away. Same as those who aren’t looking for relationships or have profiles which do not display a photo. It’s both a time-saver and a way to keep you from fake accounts that can be activated by a single button. However we highly advice that you keep an open mind, this way you don’t accidentally block those who may be potential partners. What makes searching in match.com a cut above the rest is the number of online members that are active most of the time. Their eccentric advertising schemes in TV, internet, and print make them more recognizable as the go to dating site for most people. This becomes there strong selling point since the people are familiar with their history and service. Easily search for matches around your area and you’re bound to find potential matches near you. WINK OR MAIL: WHAT TO CHOOSE? When looking for potential partners and you’ve seen one who you are particularly interested in, you can contact them in two ways: either mail them or send them a wink. By mail, you get your own private match email address which you can exclusively use for match.com. The other is wink where you can send them a quick template of an email that says you are interested in them. A new feature they came up with is the IM- instant messaging within the website. This is safer since you don’t need to reveal your Skype or email address to contact them. This option, like many others, can be switched off at any time. If you’re more subtle however, you can add them to your favorite list. An email will then be sent to them to notify them that you’ve added them to your list. ‘My quiz’ is also another creative feature. It’s basically just another form of icebreaker where you make your potential date answer a bunch of questions (around 20) that you specifically choose from their huge list. If you want, you can also write your own questions. This is a great way to know if you are in-sync with the other before you really hit it off. Paid members have the privilege to see a list of people who have visited their profile and sent a wink or email that will show up on their homepage. They can also upgrade £9.90 a month for the option to have a connect plan. Non-members can message you and you’ll be featured higher in the search results of other members. Paid members get to access match.com’s very own mobile app. The user interface is very comprehensive as you can see everything that is on their website. You can easily send emails, perform filtered searches, view favorites, check out images and profiles of other members, and pretty much what you can do on the website but on a much smaller scale. It’s currently available for Windows, Nokia, Android, and IPhone handsets. There’s nothing going on the free site that would be useful except for the fact that you can get a feel of the environment of match.com. You can create a profile, send winks and quizzes, search for matches, etc… But you can’t write or read emails for those you are interested in. You also can’t see who has viewed your profile. The great thing about their free site offer is that you can see what and feel the site before paying real cash. Be sure to upload a photo of yourself in order to see other people’s photo. 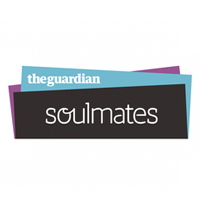 Match.com will be hosting events where your fellow match-ers can personally meet! Ditch the glare of your computer and personally experience chatting them up. Another section that will be added to your profile is the #LoveYourImperfections section. You can add your habits and imperfections to that part of your profile to give the others a glimpse of what they’ll be handling once you’re together. Of all the countless dating sites that we’ve encountered, it’s a bold statement to say that we choose match.com to be above the rest. From sheer number of users to countless features, they create an ideal environment where you can easily find the perfect one for you. Interaction and socialization via internet is a breeze with match.com. The recent addition of Daily6, their mobile app, and events make the site much more appealing and user friendly. Newbies in the online dating scene rejoices in the simple yet comprehensive site. Those experienced however can find that the site almost eliminates fake profiles so time will not be wasted. Much of their offer, such as the 6 months subscription offer, is also a great deal. £12.99 a month is surely worth if it means finding the one for you.